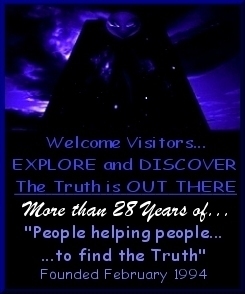 Welcome to the United States UFO Information and Research CenterTM, founded in February of 1994. The US UFO Center is a Membership, or member supported initiative designed to provide support, structure and an information base to unify local grassroots efforts in scientific research of the UFO phenomenon, not only within the continental United States, but worldwide. Privately funded, we are geared toward and dedicated to truth and the dissemination of that information in the ongoing research and investigation into both the fields of UFOlogy as well as other unexplained, or "paranormal" phenomena of scientific concern. Today, the US UFO Center is now considered a division of "The Alternate Realities Center"TM, which is an organization conceived to encompass all areas of paranormal investigation. Research projects encompassed by "The ARC" not only include the study of both the nature and the affect of the UFO phenomenon, but paranormal mysteries such as Bigfoot otherwise known as Sasquatch, Yeti, and Yowie, Earth Change Phenomena and their supposed prediction, Ghosts, Hauntings, and Angelic Visitation, as well as spiritual advancement and evolution of the Human Spirit and Consciousness. The latter may include the assistance with the development of inate mental and spiritual abilities human beings are believed to possess. The ARC, as well as the US UFO Center are represented by field investigators near and abroad and actively investigate a wide range of phenomena. In the investigation of the controversial subject of UFOs, otherwise known as "Unidentified Flying Objects", we have recently adopted the acronyms OWV - Off World Vehicles, and OWC - Off World Craft to differentiate between what is thought to be true "extraterrestrial" flying objects and what are actually covert, black-ops aircraft being tested and flown in our skies overhead. The center also incorporates in its research the study of Alien Abduction and Contact with Extra and "Ultra" terrestrial beings, also referred to as "UFOnauts" by the late J. Allen Hynek, former military Director of "Project Blue Book" who later went on to start the "Center of UFO Studies". However, yet another fairly new term currently under investigation, and with new articles forthcoming to appear in short order on the United State UFO Information and Research Center website, is "USO" or "Unidentified Submersible Objects". This is a subject which has gained in popularity and public curiosity tremendously over the past several years and is an enigma which deserves immediate attention from the scientific community worldwide. The Center does not have any bias for or against the notion that contact with a nonhuman intelligence may be under way. Its bias is toward objectivity and its goal is to accurately record and report information in an attempt to answer all questions regarding these enigma. However, a powerful prejudice has evolved within the culture of science against any serious research into these areas of study and investigation. Without clear direction and a credible source of funding, genuine scientific progress will be impossible. The Research Center intends to work against this prejudice by educating scientists in the fact that there is a serious problem to be solved, there are interesting and useful discoveries to be made, and an obligation to replace public confusion with objective knowledge. The US UFO Center is member supported with membership world wide in eighteen different countries. The Center sponsors many smaller groups that network together to keep the Research Center supplied with a steady flow of information. The largest of these was once called the Southern Appalachia UFO Network, or SAUN consisting of dozens local and interstate members from all over the Southeastern States. These folks engaged in a variety of organizational activities. Sponsored by The Alternate Realities Center, the group hosted organized local area skywatches, monthly network meetings, an annual outdoor conference at Roan Mountain State Park, hosted public awareness seminars, and assisted with field investigations. Future membership will aid in electing members to the Board of Directors when construction on the future "Appalachian Mysteries Museum"TM finally commenses. Board members will work to establish the organization's by-laws and engage in planning of future events. Be sure to join The Alternate Realities Center Yahoo Group to stay posted on future updates and stay up-to-date on the latest sightings! The US UFO Center currently acts as a sponsor for many smaller groups who, while networking together with us to provide a constant flow of information, have begun their own endeavors to unravel the mysterious happenings in the communities where they live. 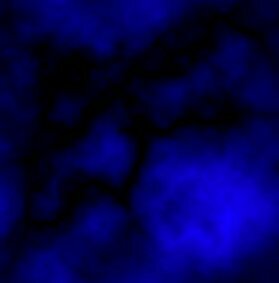 There are many hundreds of people involved in local skywatches, area group meetings, personal and privately funded research, and field investigations networking through an international effort to unravel at least part of the human, and probably not so human mystery behind this intriguing enigma. If you desire to start an investigative committee in your area, let us know of your interest. We can help start you on a path of both internal and external self-discovery you may find filled with both surprise and wonder. The truths you uncover hiding in your local area may shock and amaze you! 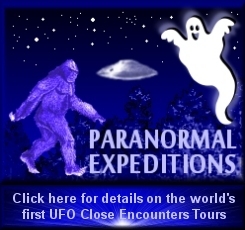 We challenge you to open that door, discover the mysteries that lie in waiting, and to report back to us concerning your findings with our Sightings and Paranormal Experience Case Form accessible from our Main Website Directory. We will then make the information available to benefit the whole of humanity through our online publications and newsletters! The mission of the United States UFO Information and Research Center is to systematically collect and analyze data on UFO and Paranormal Phenomena with the ultimate goal being the attainment of a stronger identity of who and what humanity is and represents that we might chance to understand our purpose and place in the cosmic community of sentient beings living in this Universe and other Dimensions and/or planes of existence and our efforts shall be concentrated on furthering the conscious awareness of mankind to the realization that we are not alone in an attempt to define the origins and nature of UFO and Paranormal phenomena worldwide." Provide support for individuals who have had extraoridnary unexplained experiences. Encourage the growth and development of local discussion and support organizations. Provide an open forum for the exchange of ideas relating to advanced technology. Diversify, encourage and share public research in the related fields of UFOlogy. Provide a system of compiling, disseminating AND releasing UFO and paranormal related information into the public domain. Several publications have served to deliver timely notice of the spectacular accounts of credible individuals brave enough to report their experiences through the years. The latest of these was a quarterly periodical which was entitled "The American UFO Journal". As of October 2002, it became known as "The Alternate Realities Chronicles". The pages of these past newsletters documented the first-hand sightings and experiences reported to the Center from February 1994 through February of 1997. The above research is currently being compiled for the development of the world's first ever "UFO Adventure Tours" TM by bus. 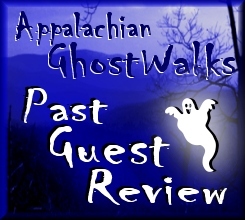 Please check out the Appalachian GhostWalks for further information.